Slick and slippery roads created a lot of problems for drivers on Monday, and it made for a busy day at local tow truck companies. "Early mornings into late nights," Wilson's Towing heavy operator Nicholas Maycumich said. "We have days where we work 20 hours straight if we have to. A lot of miles get put on." With roads as bad as they were, and so many cars sliding off the highway, it's hard for the companies to keep up. "Get to them as fast as we can," Wilson's Towing driver manager Adrian Smith said. "It's all we can do just get to them as fast as we can and be patient. We're going to get there." But it will take some time. "A lot of times it will go into the next day," Smith said. "People are waiting that long, it just depends on the weather conditions." With the forecast expected to dump more snow on Tuesday, it could be another long day. "We're going to see a lot of winch outs on the car side, on the semi side a lot of breakdowns, people breaking drive shafts," Maycumich said. "We'll be moving." "It's going to be way worse," Smith said. "It's going to be ten times worse." NEENAH, Wis. — Slick and slippery roads created a lot of problems for drivers on Monday, and it made for a busy day at local tow truck companies. "Early mornings into late nights," Wilson's Towing heavy operator Nicholas Maycumich said. "We have days where we work 20 hours straight if we have to. A lot of miles get put on." 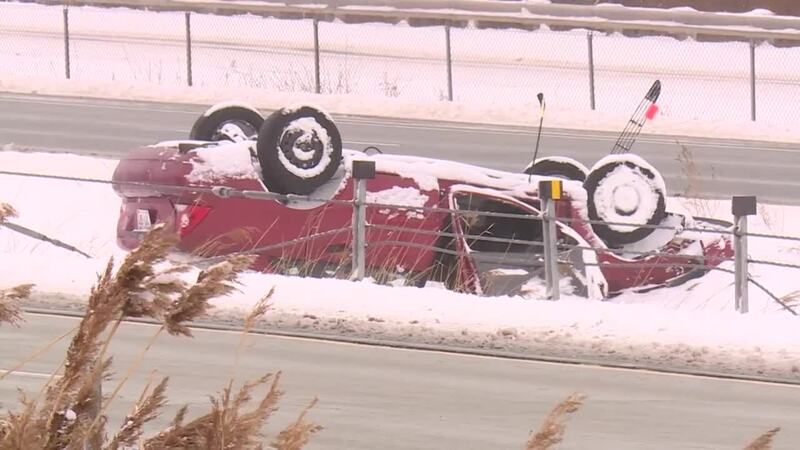 With roads as bad as they were, and so many cars sliding off the highway, it's hard for the companies to keep up. "Get to them as fast as we can," Wilson's Towing driver manager Adrian Smith said. "It's all we can do just get to them as fast as we can and be patient. We're going to get there." "A lot of times it will go into the next day," Smith said. "People are waiting that long, it just depends on the weather conditions." With the forecast expected to dump more snow on Tuesday, it could be another long day. "We're going to see a lot of winch outs on the car side, on the semi side a lot of breakdowns, people breaking drive shafts," Maycumich said. "We'll be moving." "It's going to be way worse," Smith said. "It's going to be ten times worse."